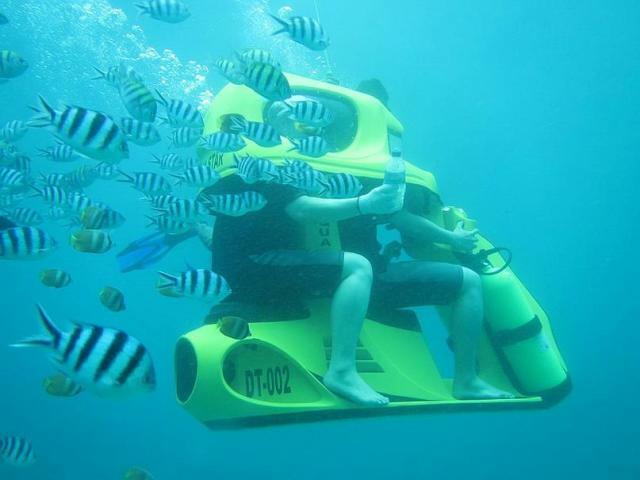 Bali Underwater Scooter by Aqua Star has two engines, one for advance, another for movement upwards. The button advance management is on the right side of a wheel. The movement button upwards – on the left side of a wheel. Depth of immersing is supervised by a surface buoy of safety and established on depth to 4 meters that won’t allow you to plunge more low decompression marks and will help to avoid collisions with corals and a sea-bottom. Upon termination of your immersing, our instructor will help you to lift the scooter on a surface. After its command you with the scooter you may go up the platform. After platform went up and instructor commanded you leave the scooter. Under water with a view of your safety you will be accompanied by our instructor, and also to show delights of the underwater world. New Experience, feed the fish undersea! INCLUDE : Hotel Transfer in Covered area (Tanjung Benoa, Nusa Dua, Jimbaran, Kuta, Seminyak, Sanur), Transport by air-conditioned car, Light Refreshment, Mineral Water, Locker, Return Boat Transfer, Food for feeding fish, All necessary equipment with instruction, Instructor, Insurance Coverage (9-65 yo), Taxes. 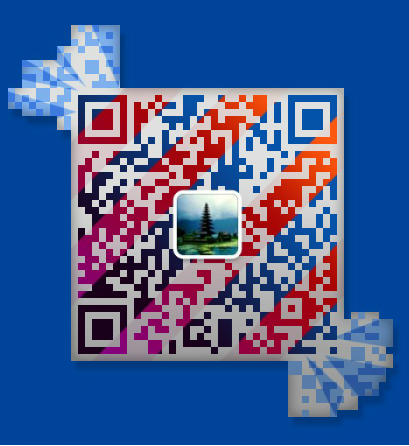 This entry was posted in Bali Cruise, Bali Watersport. Bookmark the permalink.